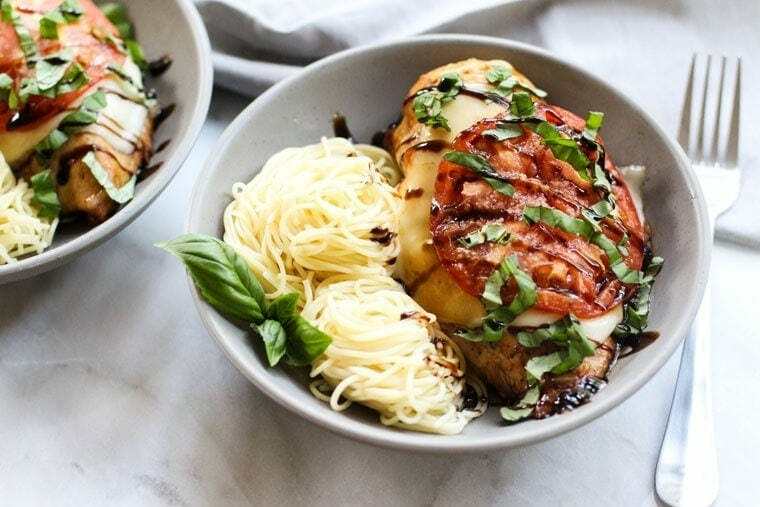 This Baked Chicken Caprese is full of bright summery flavors and is so easy to throw together! 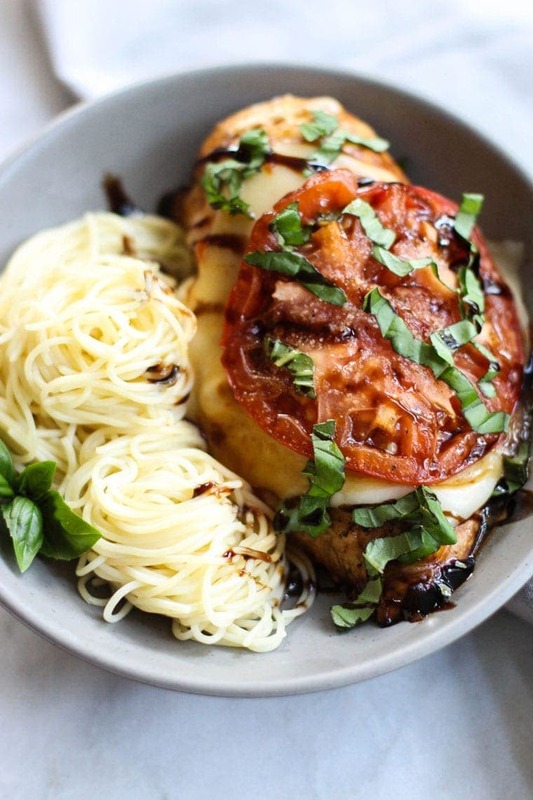 I don’t know about you, but love anything with a tomato, basil, mozzarella, and of course, balsamic. 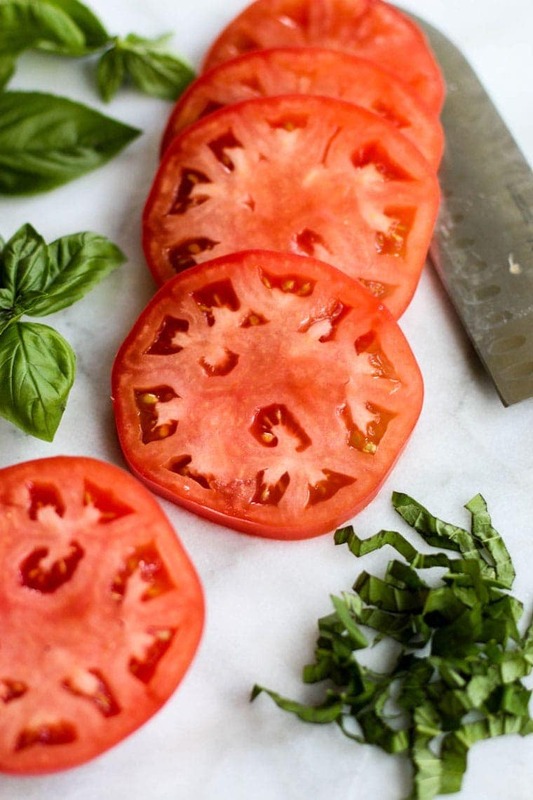 When the summer comes around and the basil plant is overflowing and tomatoes are all but falling off the vine, caprese salads are my go-to. You just can’t beat the brightness of those flavors! These flavors are awesome with chicken that’s marinated in balsamic vinegar. I just threw some balsamic vinegar, olive oil, and some salt in pepper in a gallon bag with the chicken breasts just to give the chicken a little more flavor. About 30 minutes is perfect, but you can get away with just 15 minutes if you’re strapped for time! Between the marinade and baking the chicken, it comes out so tender and juicy. Make sure that the internal temperature reaches 165° before you add the mozzarella and tomatoes on top though! It should take around 30 minutes in the oven at 400°, but you know how particular those get sometimes. If you add the mozzarella too soon, it melts straight to the pan which is just a party foul for everyone involved. 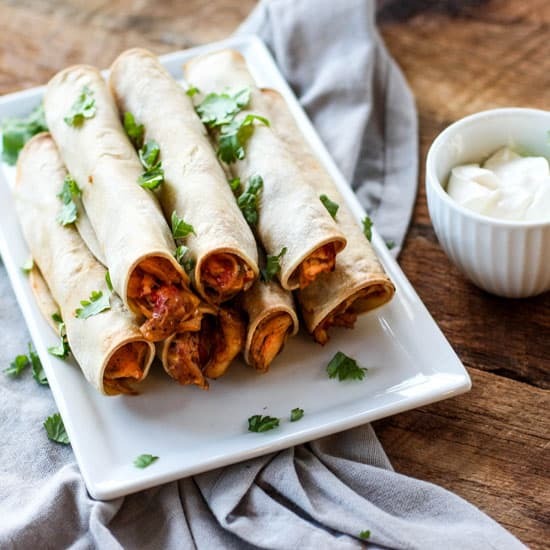 The great part about this recipe is that you can eat it by itself, on a salad, in a wrap, or with some pasta on the side! I opted for some angel hair on the side because, well, it’s pasta. The chicken ends up so juicy that you don’t even need a sauce for the pasta for it to still go well together. I mean, come on you guys. Who can resist those mozzarella cheese strings?! Mix together balsamic vinegar, olive oil, salt and pepper. Put chicken in a large gallon bag and add marinade to it. Let sit in refrigerator for 15-30 minutes. Bring large pot of water to a boil. Add in angel hair pasta, cook 5 minutes. Drain and set aside. Lightly oil a cookie sheet. Place chicken breasts on cookie sheet and cook for 30 minutes or until internal temperature reaches 165°. 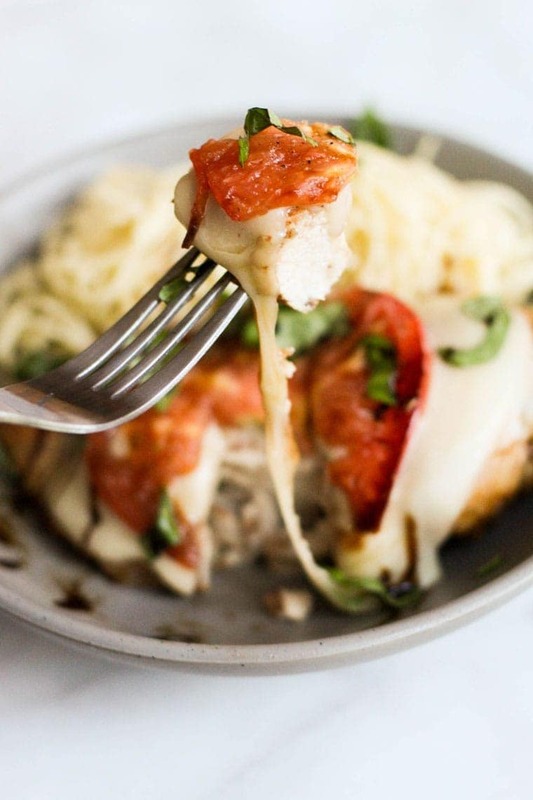 Put a slice of mozzarella and slice of tomato on each chicken breast. Add salt, pepper, and garlic powder to taste to each piece. Cook an addition 5 minutes or until cheese is melting. Remove from cookie sheet and top with fresh basil and balsamic reduction. 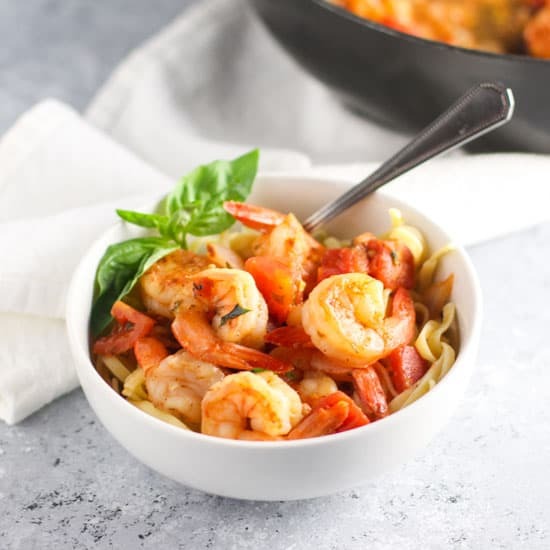 Serve with angel hair pasta and enjoy!